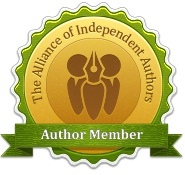 Today, I’m thrilled to welcome Jane Thynne to my blog. 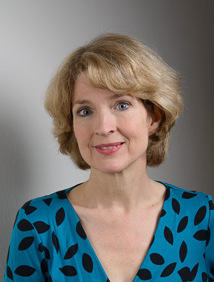 Jane has worked as a journalist for the BBC, The Sunday Times, The Daily Telegraph, and The Independent. She has been a panellist on the BBC Radio 4 literary panel game The Write Stuff on many occasions and was a member of the judging panel for the Oldie of the Year award in 2010 and a judge for the Best Online Only Audio Drama award of the first BBC Audio Drama Awards in 2012. 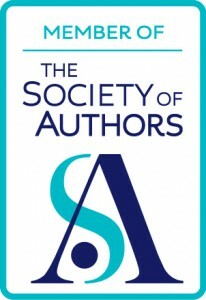 Her first novel, Patrimony, was published in 199 followed by The Shell House in 1999, The Weighing of the Heart in 2010 and Black Roses in 2013. What attracted you to writing about women in Nazi Germany and having a woman protagonist in what has been depicted as a very male-dominated period? The lives of German women under Hitler – like so much in the Third Reich – was rife with contradictions. It was an intensely misogynistic regime, and yet Hitler received more fan-mail than The Beatles and Mick Jagger put together. No one encapsulated these ironies more than the senior Nazi wives, who were expected to embody Nazi values but diverged from them in dramatic ways. We know a little of what it felt like because several of them, such as Emmy Goering, wrote memoirs about their lives. 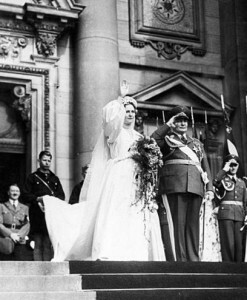 In many cases they were an important influence on their husbands – some of them, like the wives of von Ribbentrop and Heydrich – more Nazi than their men. Others, like Frau Goering, the wife of Baldur von Schirach, actively interceded with their husbands on an occasional basis to save friends. But I was also interested in the lives of ordinary women, trying to live under an increasingly restricted, totalitarian regime. 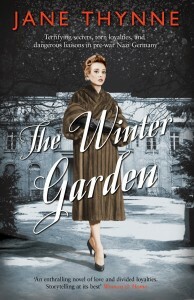 In my new novel, The Winter Garden, a murder takes place in a Bride School, one of those institutions established in 1935 by Himmler for women hoping to marry into the SS. Women actually had to gain a certificate in order to qualify for their wedding. Incredible! It seemed a good idea to make Clara Vine, my protagonist, an Anglo-German actress. Berlin was the centre of European film making – it really was the Hollywood of Europe. Actresses occupied an uneasy middle grown between ‘respectable’ women and celebrities and with acting also came many metaphors around playing a role and spying. It seemed a natural fit. Your period detail was rich and cleverly present throughout Black Roses. Do you have an affinity or special knowledge of Germany or was it a hard slog? It’s impossible not to be intrigued by the country at the centre of the seismic event of the twentieth century. And if you’re interested in Germany, your eyes naturally turn to Berlin. I’ve walked the streets of Berlin over and over in reality and every day in my head for the past couple of years. It’s strange seeing your own imaginary Berlin like a palimpsest under the modern, rebuilt Berlin, but It helps that I have a working knowledge of German and I visit a couple of times a year. Thank you, Jane. I loved Black Roses which Jane talked about at the Harrogate History Festival last October and the sequel, The Winter Garden, is on my TBR pile. Jane has kindly donated a copy for a giveaway and one lucky winner will win it in a draw. All you have to do is make a (sensible) comment by 22 March and your name will go in the hat! When I was flying long years ago with the FFL we had a good number of “Swiss” ex Luftwaffe pilots and like many of the Waffen-SS men they described pre-war Berlin as a cesspit – it had the strongest system of ‘blockfuhrers’ keeping an eye on things but they were not allowed to upset the degenerate fatcats. ‘Uncle Heinrich’ might have sorted it out had he had time……the bride schools were logical enough, and it seemed little different to my aunt’s progress Cheltenham/Health & Beauty school in Switzerland where they turned out impeccably clean and tidy brides-to-be. The alternative ‘school’ would seem to be Jeremy Kyle or the Walmartians. Refreshing novels from Jane Thynne. Hope the new one will be just as gripping as the last. What an amazing take on history! Would love to read this series – fascinating what was happening there at the pre-war time. We don’t hear much from that side of the fence. Loving historical books, my collection will be incomplete without these! Recently read “Black Roses” and loved it. Can’t wait to read the next Clara Vine episode !!! 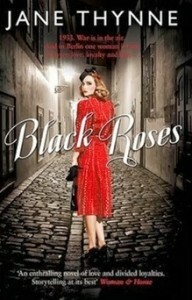 I have just finished “Black Roses” and cannot wait to read the next instalment of Clara Vine’s Berlin adventures!! I read Black Roses with my bookclub and we loved it. Would love to read the next instalment. My mother was born in 1930 in East Berlin. At 14 years she and her four sisters & parents fled from the invading Russians – leaving her 15 year old brother behind to ‘fight’. At age 18, she came to England to be a nurse in order to support her refugee family who were now living in a chicken hut, having been through so much on their escape journey. I wish I had the ability to recount her memories – They are so true & yet so like a film. My Mutti is very poorly now and failing in strength, but I think that if there was someone/way to connect & share her history (& therefore mine too) with – perhaps her increasing sense of isolation would be lessened. She was known as Nurse Happy, this being her nature but she was very far from that, as far away from home as she could be. I also thoroughly enjoyed Black Roses. Like the author, I love Germany, having worked for a year in Bavaria in a sanatorium as a veggie cook (OK, not quite the same as singing Falling in Love Again in a 1930s Berlin nightclub, but close!) 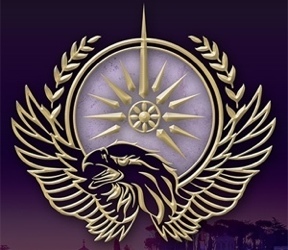 Am definitely going to buy the next book of the adventures of Clara Vine – that is, if I don’t win it through Alison’s blog! Entries to the draw are now closed. The winner will be announced shortly. Many congratulations to Fidelma Maher, the winner of Jane’s new book, The Winter Garden.